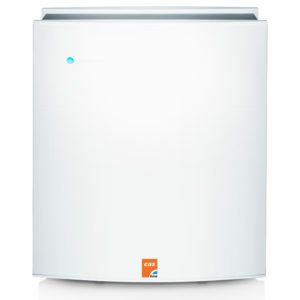 Our new Blueair 405 Classic air purifier brought to you by CAS-Hire present tried and tested solutions for a healthier life for you, your family or work colleague. 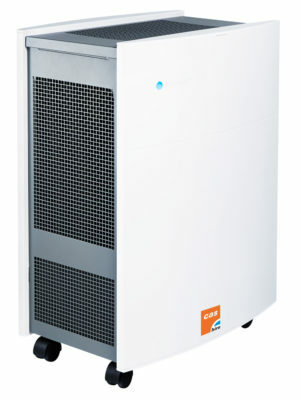 Designed for medium-sized rooms, the Blueair Classic 405 is a excellent product choice for those who have allergies, asthma, respiratory issues or live or work in areas with poor air quality. 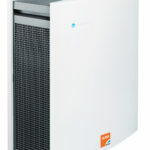 Our new Blueair 405 Classic air purifier brought to you by CAS-Hire present tried and tested solutions for a healthier life for you, your family or work colleagues. 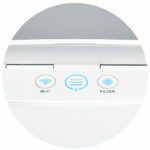 The new generation of the Blueair Classic air cleaner are Wi-Fi enabled. 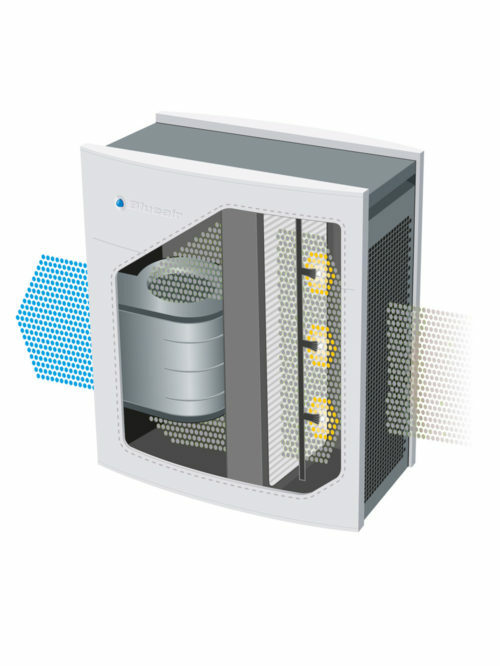 This feature enables ultimate control to insure equipment function adjustments are easily managed and can be made any time, anywhere via the Blueair Friend app. 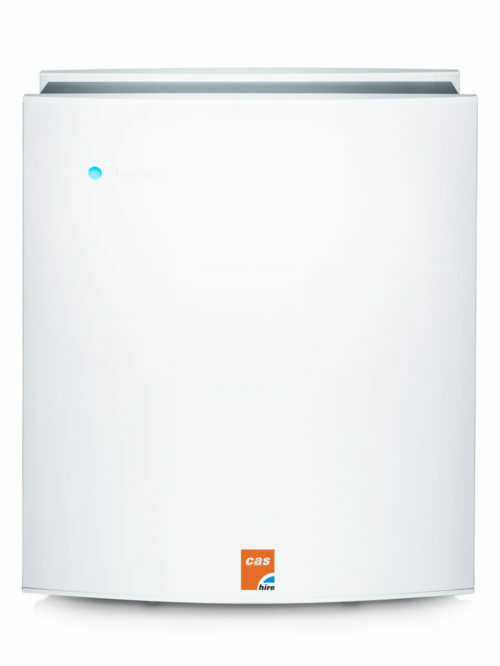 This new generation of the classic range also operate using less energy, quieter and cleans a significantly larger area faster. 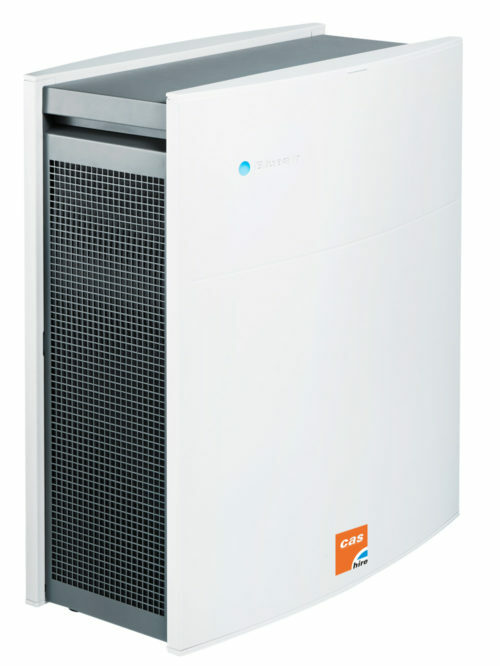 The new Blueair Classic 405 uses Blueair HEPA-Silent Technology to extract virtually all airborne VOC’s (volatile organic compounds) dust and bacterial pollutants. 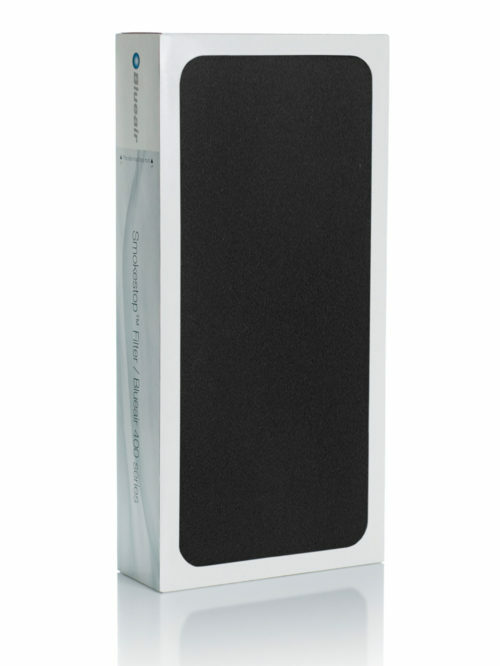 Utilising the finest in electrostatic and mechanical filtration, our HEPA-Silent Technology is a zinnovative combination of sophisticated filter media and an encapsulated particle-charging chamber. 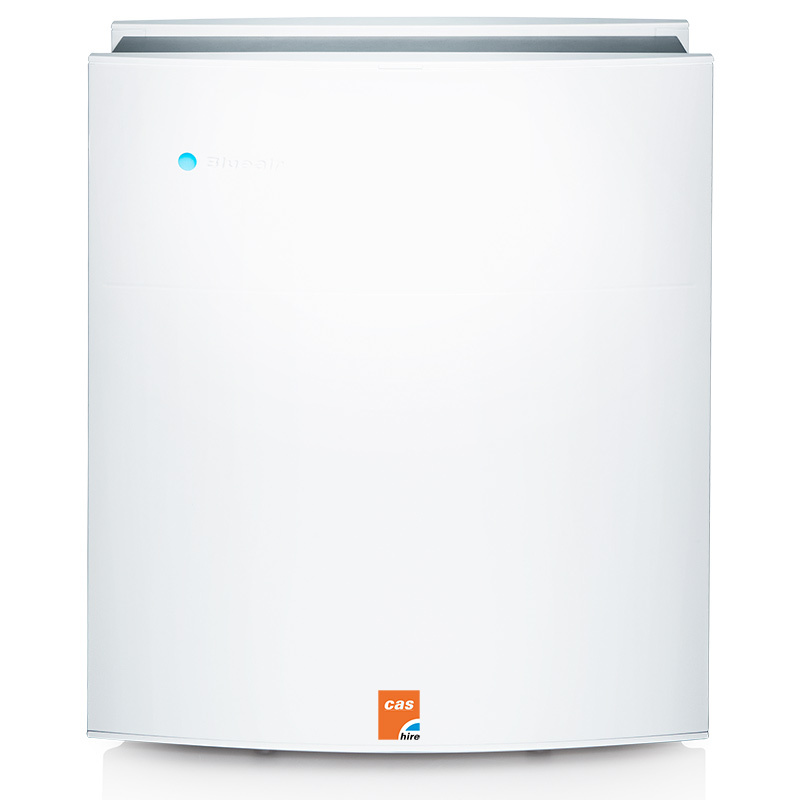 This ensures that your Blueair purifier delivers results far superior than either mechanical or electrostatic technology alone. 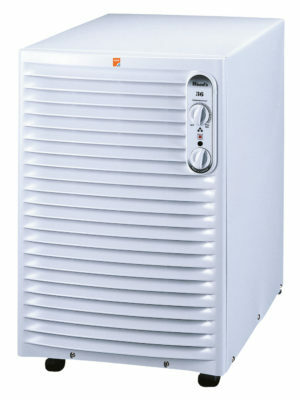 Ideal unit for room sizes up to 40sqm. 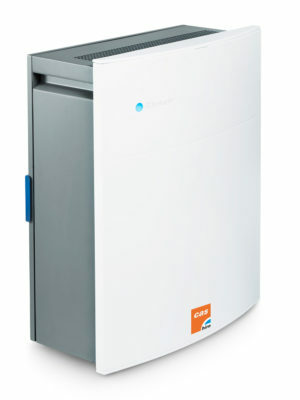 Designed for medium-sized rooms, the Blueair Classic 405 is a excellent product choice for those who have allergies, asthma, respiratory issues or live or work in areas with poor air quality e.g. City centre offices, ticket offices, retail outlets, healthcare practices, apartments, hotels. 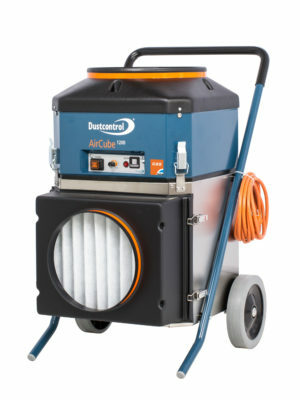 According to a recent survey, indoor air pollution is prevalent in many homes and work places across the United Kingdom, potentially causing long-term health problems. The most common method to introduce “fresh air” is by opening windows however in doing so you may be significantly increasing risks by further polluting your work or living space with dangerous pollutants and toxins. 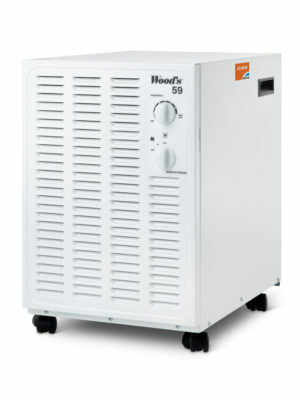 Air cleaners offer the solution to deal with your indoor air pollution. 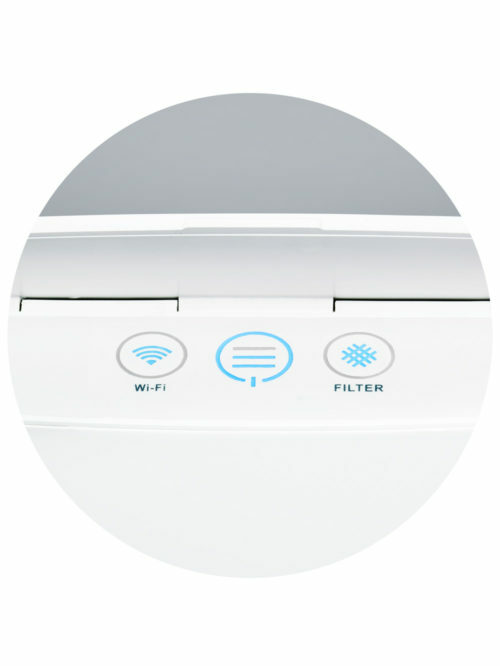 Two Filter Options designed to get to the source of your problems fast! 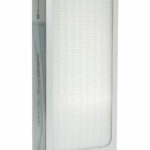 The sublime performance of the 400 Series Particle filter benefits your healthcare. 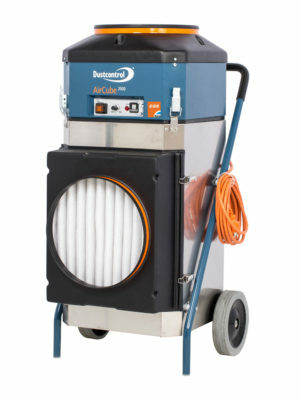 This is the ideal choice for removing the maximum particulate pollutant matters such as viruses, bacteria, dust mites, pet dander and every other variety of particles. 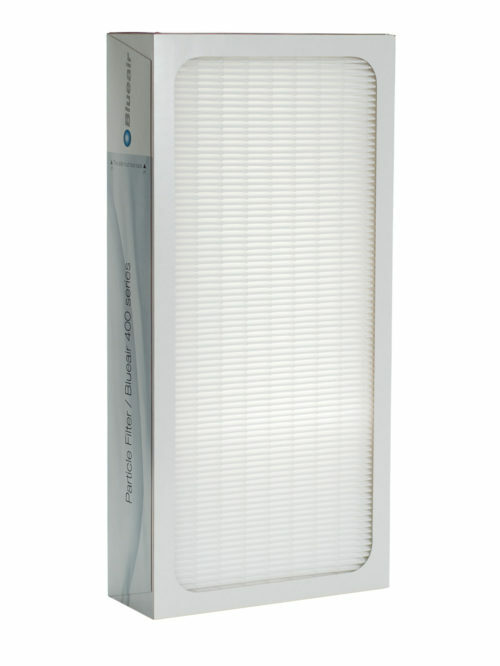 The 400 Series Smoke Stop filter is designed incorporating an activated carbon, this type is recommended for rooms exposed to heavy gaseous pollutants for example, fire retardant fumes, household paints, cleaning products, cigarette and cigar smoke, gyms, make up rooms and hair dressing salons. 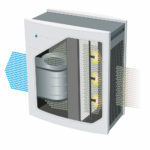 The Smoke Stop filter is principally to be utilised for extraction of gaseous pollutants and secondarily for particle removal. 1. 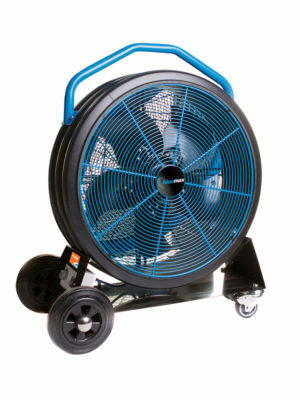 Polluted air is drawn into the 400 Series Air cleaner by our extremely quiet fan. 2. 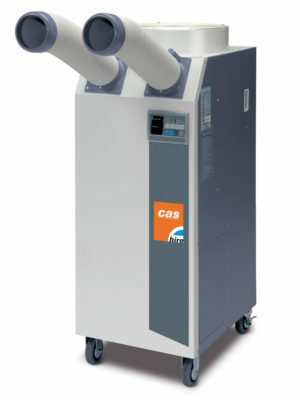 Airborne particles are guided through the ion chamber and are electrically charged. This allows them to be caught easily to our polypropylene filter media. 3. 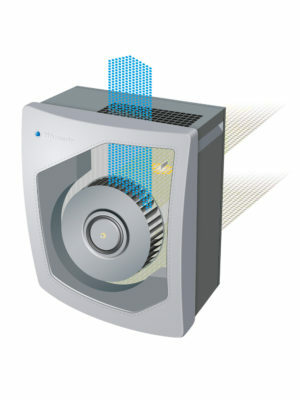 The charged particles are then extracted in the specially structured, filters within the initial layers capturing larger particles pollutants such as pollen and dust as they proceed further into the media. 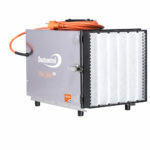 As the air is drawn further still into the filter, even the finest of particles such as cigarette smoke and exhaust fumes are removed. 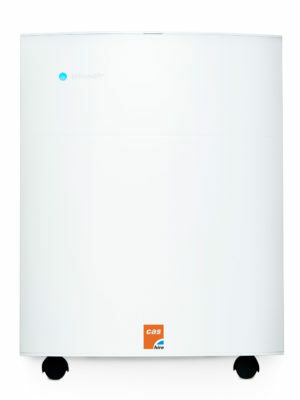 This progressive design structure of filter media with millions of ultra thin fibres in different sizes and layers. 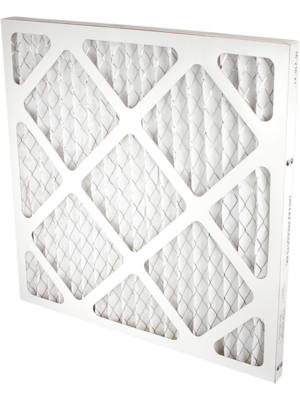 When the filter needs to be replaced (approximately every six months), simply open the lid, remove the old filters and replace with the new ones. This is a very simply and straight forward procedure and no tools are required to carry out this task. 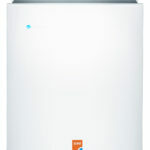 An additional fact is that the filters do not require washing weekly or additives. 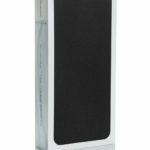 Carb 500 F271 2nd Stage Filter £17.50 ex. VAT.